Finally we reach number 01 in my Top 100 Favorite Comic Cover count-down! This truly is my favorite cover ever. 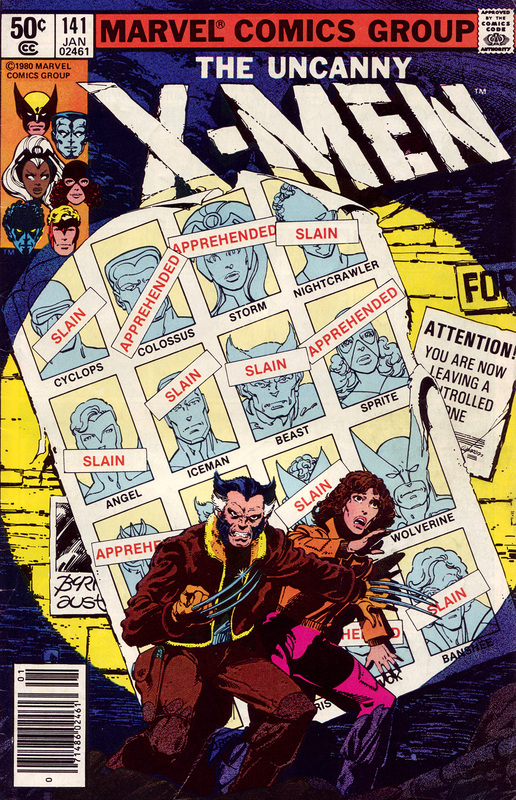 It’s a desperate and dramatic scene as a spotlight is shined on the mutant fugitives Wolverine and Kitty Pryde. The Days of Future Past storyline is a fantastically dark SCI-FI X-Men tale and this iconic image is like a beautiful movie poster for it. It will be nice if the new movie version is even half as good! Just because the count-down is complete doesn’t mean my frequent posting of high rez scans is over. Not at all. I plan to continue with more covers, mini-reviews, interior panel scans and more! So please check back often. Definitely one of the most iconic comic covers ever. It’s been homaged and parodied plenty. And it’s definitely effective.